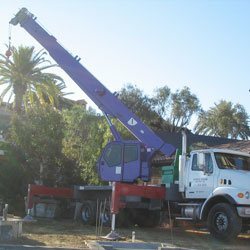 Purple Crane has designed its crane services to give its Costa Mesa clients the best value in Southern California. 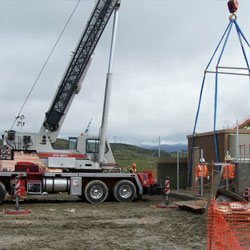 We ask the questions that need to be asked to ensure that you get the right crane for your project, the first time, every time. You are welcome to call us any time of day. We have a live phone operator available to take your call 24 hours a day, capable of dispatching a crane for emergency requests. Purple Crane's mobile crane inventory includes light-duty boom trucks, heavy-duty hydraulic boom trucks, and hydraulic cranes made by the industry's most trusted manufacturers: Grove, Link-Belt, Manitowoc, Terex, Garland and Dynalift. 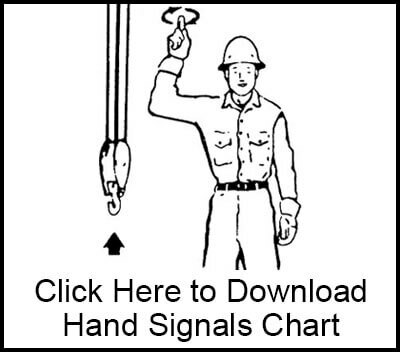 These mobile cranes are frequently used by those in the utilities, transportation, construction, landscaping, manufacturing, and HVAC industries. The capacity of our lift equipment ranges from 3 tons to 75 tons, and our largest crane extends to 165 feet. Our inventory also includes trucks, trailers with up to a 15,000-lb capacity, and man baskets that can lift one or two service workers. All of our lift equipment is routinely inspected and serviced by our crane maintenance experts to ensure that your lift will proceed smoothly, even at a moment's notice. Our tens of thousands of satisfied customers would all attest to Purple Crane's high quality of service. Our high rate of return customers and referrals is due in equal parts to our exceptional lifting and moving equipment, our stellar staff, and our great rates. Most importantly, we know how to ask the questions necessary to determine the best crane for your job. Our team of CCO-certified crane operators are all highly trained and experienced, with between 9 and 40 years of experience. You can trust that your crane will arrive on time, ready to do your lift once balanced, stabilized and assembled. Purple Crane is completely compliant with OSHA requirements, and stays on top of changing regulations and best practices through its membership with SC&RA (Specialized Carriers & Rigging Association). Additionally, Purple Crane is fully insured, and capable of obtaining a certificate of insurance within a day. 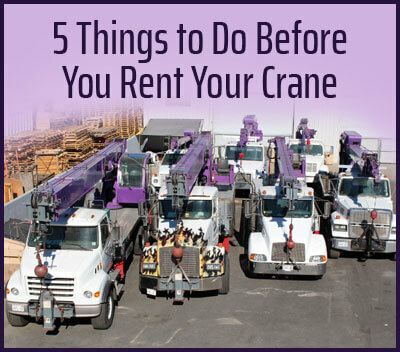 Light duty cranes can be rented for as little as 2 hours, and heavy duty cranes for as little as 4 hours. As a whole, we are responsible for ensuring your service crane will successfully get the job done efficiently and within budget. We have been serving the Costa Mesa area for 30 years, and are confident we can get your lift and/or move done to your complete satisfaction. Call us now to learn more about our crane services. We can provide our crane services anytime, day or night, anywhere in Costa Mesa. 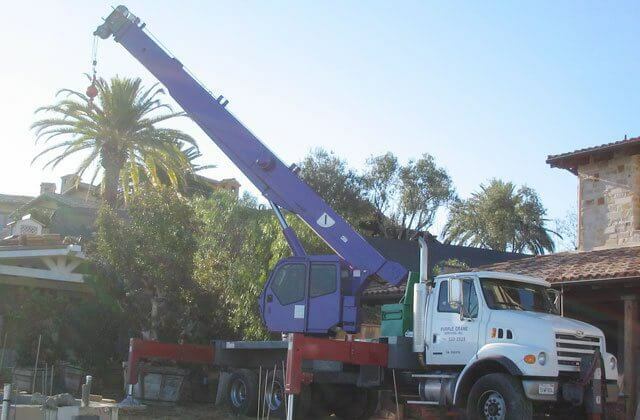 If you are looking to remodel the outdoor area of your Costa Mesa home or business, Purple Crane can assist you with the removal, transport or installation of any heavy or oversized item. We can move gazebos, spas, swim spas, hot tubs, sculptures, barbecues, and more over homes, into side yards or backyards, and on top of buildings, up to 12 stories high. Call us today for a quote. Purple Crane is dedicated to serving the crane-related needs of the electric-utilities industry in Costa Mesa. We have safely lifted and moved street lights, emergency generators, power generators, light poles, solar equipment, water tanks, septic tanks, transformers, and more. We also rent man baskets that can be attached to one of our boom trucks or cranes. These man baskets are available for one worker (up to 300 pounds) or two workers (up to 500 pounds). Purple Crane works with HVAC contractors across Southern California whenever they need help installing or removing an air conditioner or furnace in Costa Mesa. Just speak with one of our crane experts about the dimensions and weight of the unit to be moved, and where it is going; and we'll reserve the best crane to get the job done at the lowest possible price. We can even accommodate last minute and emergency requests with our 24-hour services. No matter the size of the equipment, we can safely and efficiently place units in backyards, side yards, or rooftops. 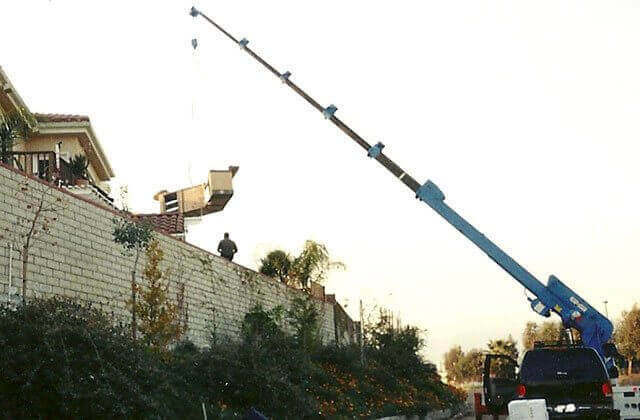 We even have cranes that can move air conditioners over another house. As an added convenience for our HVAC customers who use our lifting services for their installations, Purple Crane will haul away the old HVAC unit to an approved recycler for free. If you are looking to remove or install a barbecue, barbecue island, sculpture, swim spa, spa, hot tub, gazebo, shed, or other large, heavy item in Costa Mesa, call Purple Crane. We have lifted, transported and placed outdoor furniture, equipment, and other structures in just about every outdoor space, including backyards and side yards. Call us today for a quote. Purple Crane can lift and/or move a wide variety of landscaping boulders, trees, fountains, and other weight dense or tall objects. We are available day and night to answer any questions, and can obtain an insurance certificate within a day, in order to ensure that we can respond to the needs of our clients as quickly as possible. 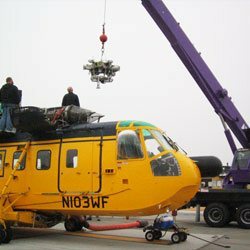 We also rent man baskets that can be attached to one of our cranes in order to facilitate tree trimming. No matter the size or shape of your industrial machinery, Purple Crane will lift it. 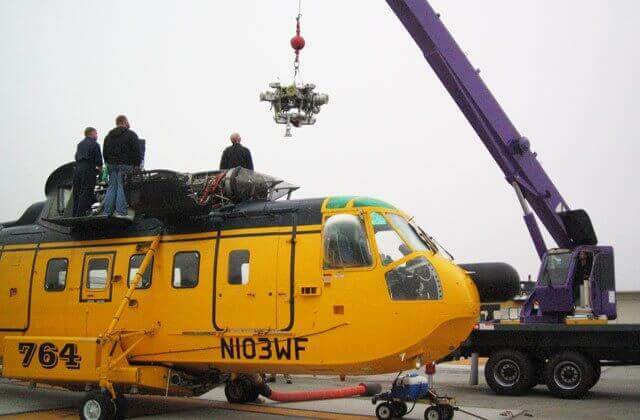 We have been moving heavy machinery and equipment for our Costa Mesa clients for 30 years now, and can be trusted to lift and transport even the most expensive of machines. We have successfully moved large appliances, printing presses, manufacturing machinery, medical equipment, and more. Call us today to reserve your high quality crane service. Purple Crane is the preferred choice when shipping containers need to be moved in, to or from Costa Mesa. We rent cranes and boom trucks with certified crane operators that make lifting and transporting one or more shipping containers highly cost-effective. We also rent trucks and trailers to relocate one or more shipping containers to locations within Southern California. Our professionals will ask you all the right questions in order to accurately determine the best crane and/or trailer for your needs, saving you money and time. Every customer wants to be able to trust that the crane they've rented will accomplish their lift. At Purple Crane, we go above and beyond in our interviewing to ensure that we properly calculate the right crane for your job. We have a wide selection of cranes to handle a variety of lifts. 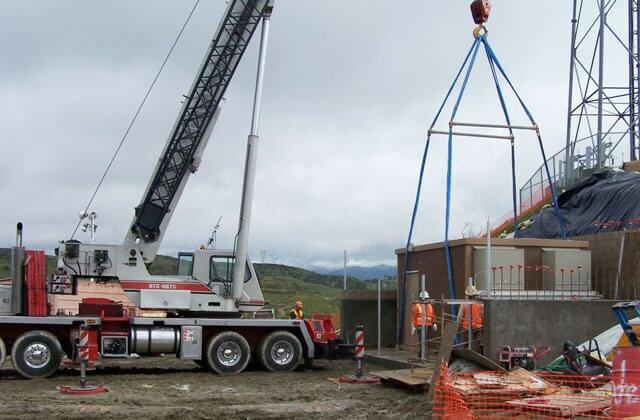 Additionally, we have expert crane drivers and operators who have worked with contractor from every industry. 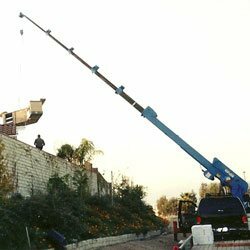 Call us today for prompt, affordable crane services in Costa Mesa.